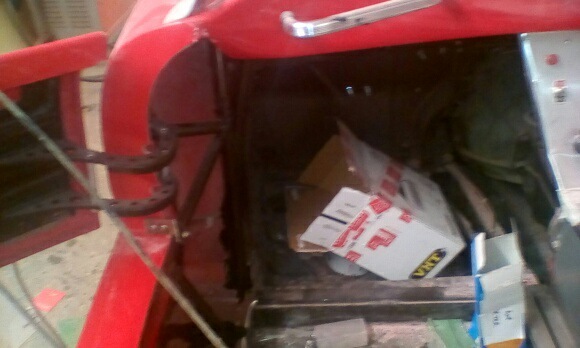 not shown here , but I wrapped an aluminium sleeve around the steering column to hide the original switch gear mounts and rivetted it in place .. 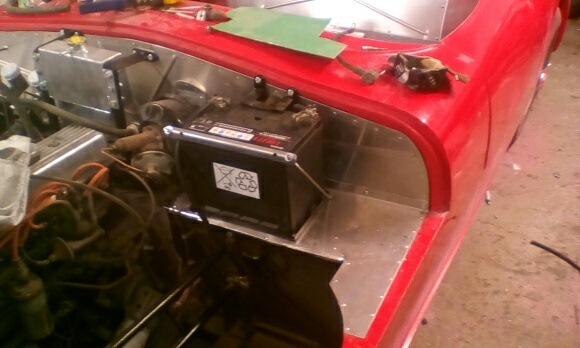 I also marked out the rear lights ..nice early flat lens Lucas units ..
Last edited by lancelot link; 24th May 2018 at 20:09.. 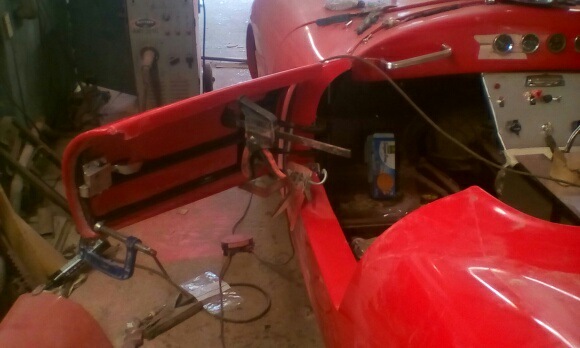 The two rear arch panels I cut yesterday were then propped into place and wedged so they couldn't move ...the top edge was then glassed in place to hold them in and I ran a few strips along under the frame rail to tidy up the slots cut to fit them ... 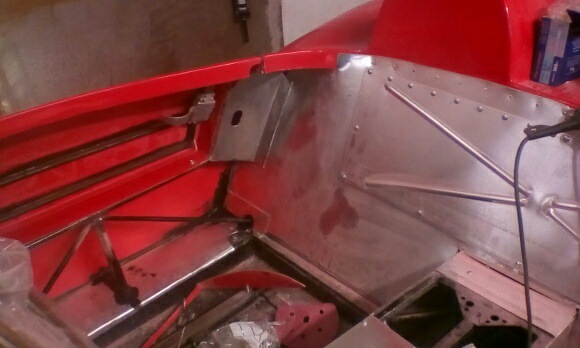 I took the opportunity to bond the rear of the bulkhead in using stixall along the outside edges and bottom edge inside and out ...Tomorrow morning when this has all cured nicely , I can fit a smaller panel at the front of the inner arch to tie it to the rear of the bulkhead ..this will tidy up this part , isolate it from a mud and rain point of view and also add some great strength as a result of creating boxed area's ..
Last edited by lancelot link; 25th May 2018 at 19:10.. 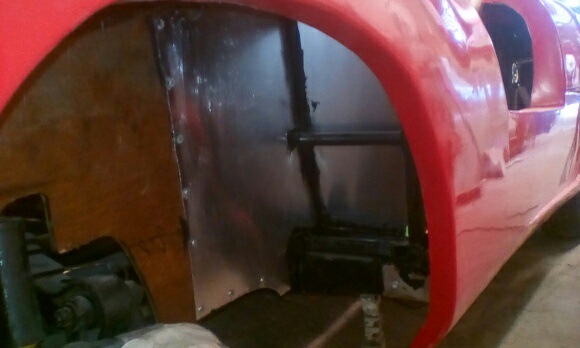 I tied in the inner arches to the rear of the bulkhead and bonded them to the rear outrigger / frame area as well .. 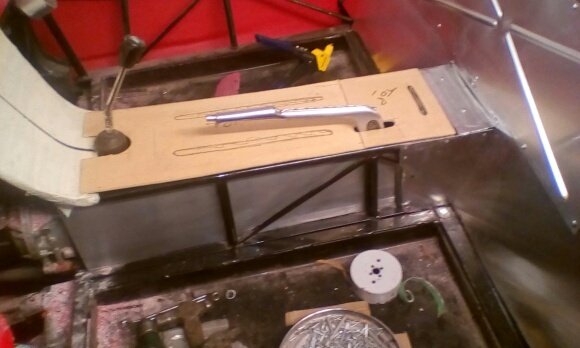 I used aluminium as its a nicer join if ally meets ally .. 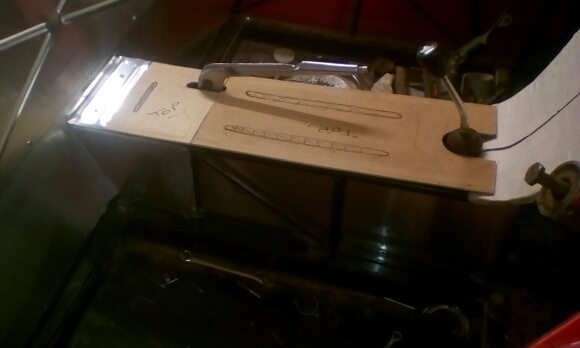 I also made a little body tie bracket that was bonded and tecscrewed to the end of the outrigger and bonded to the inside of the body holding the end of the cill in place , blanking off that open end and also another fixing point for the rear bulkhead ..
Last edited by lancelot link; 26th May 2018 at 16:52..
Last edited by lancelot link; 27th May 2018 at 19:45..
Looks like this is progressing well and benefitting from lessons learnt during the first build. 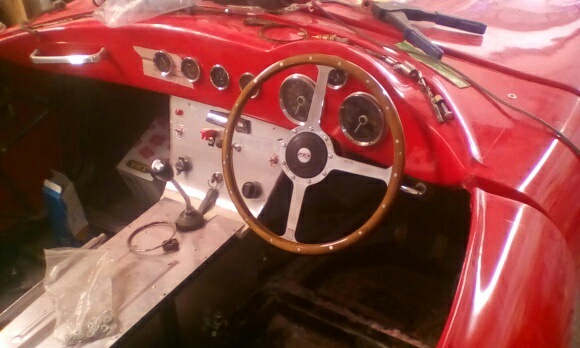 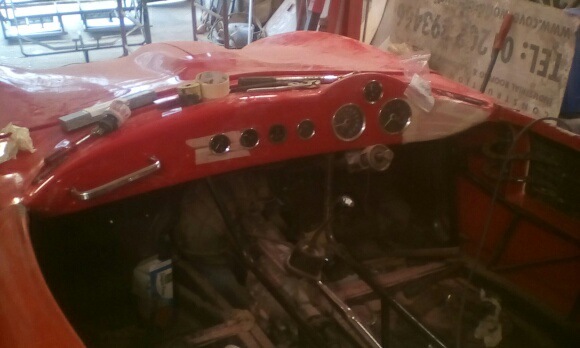 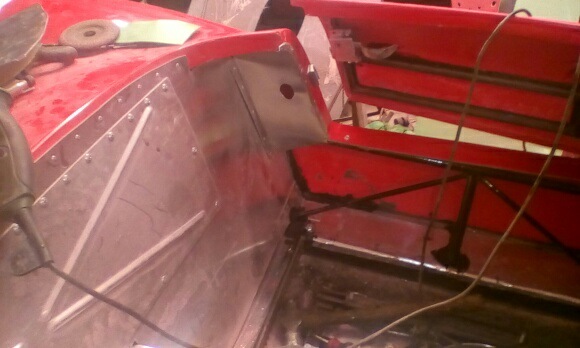 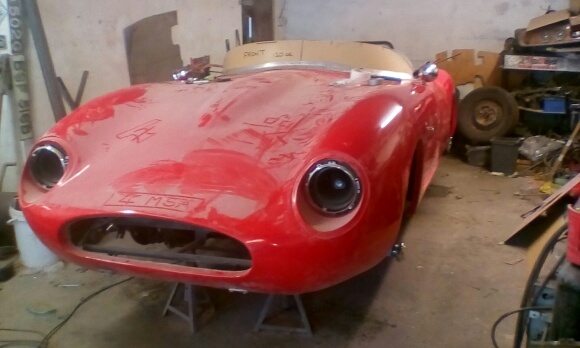 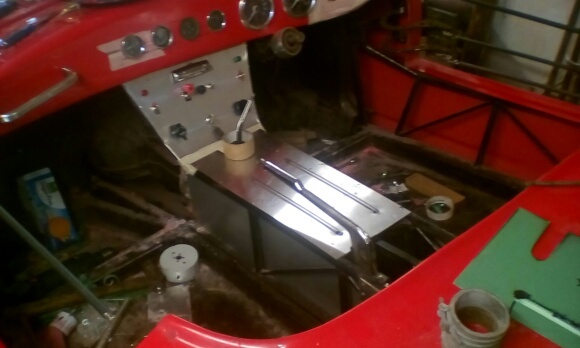 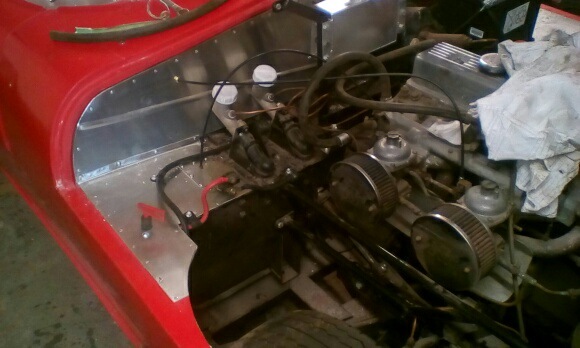 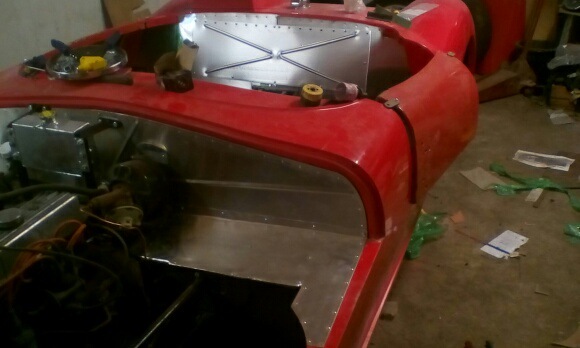 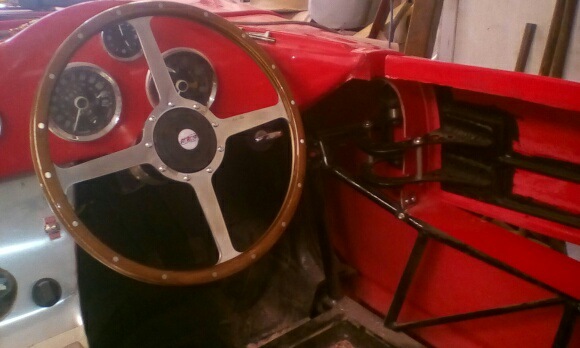 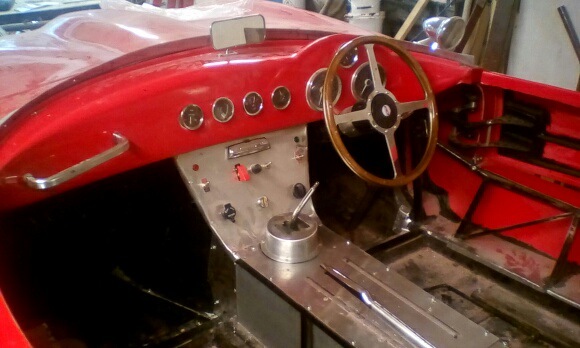 Ray popped down and we ran through the gearshift gate plans and lower dash layout ...I braced the rear of the lower dash panel and fitted up the dash after he left and made a template for the shift gate ..dropped it to my engineer mate on the way home ..
Last edited by lancelot link; 4th June 2018 at 18:43..
Coming along nicely Gary. 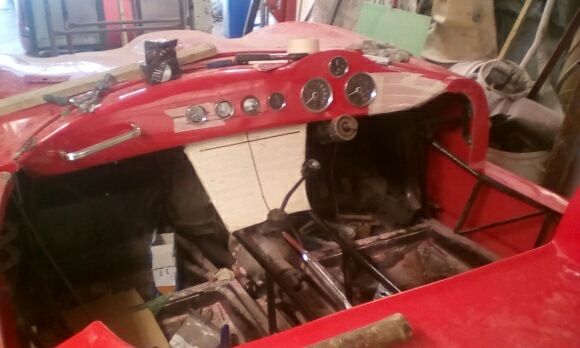 Are those old Land Rover Defender latches? 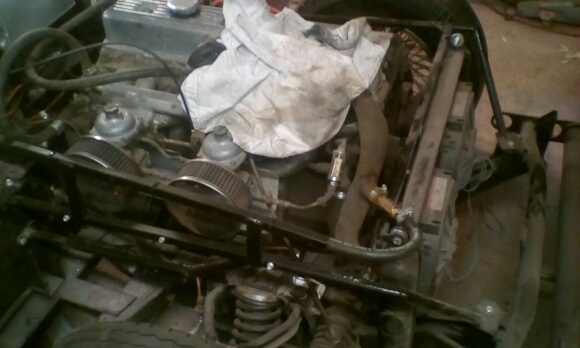 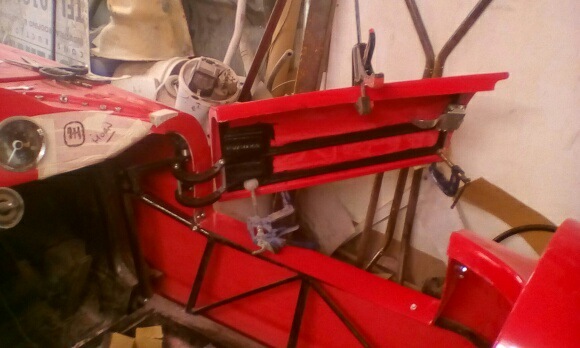 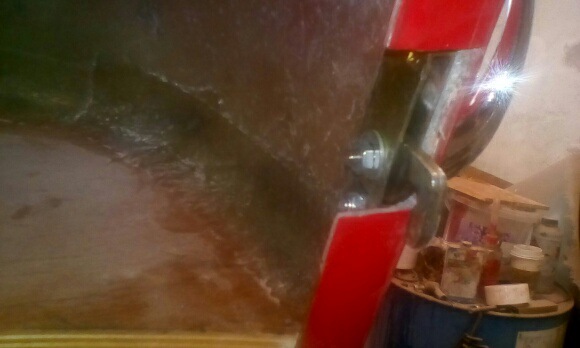 Cutout switch is easy to reach with bonnet open on the inner wing but out of sight when shut ...I double braced the area the throttle cable goes through the bulkhead for strength with an extra aluminium plate fitted on top of the existing one ..
Last edited by lancelot link; 6th June 2018 at 19:28..
Had some hose fun yesterday ....I fitted the modified Scimitar hose previously , so I then plumbed the expansion tank into the spur on the hose using two hose ends and a joiner so I could run the 3/8th hose into the larger inlet on the top hose .. 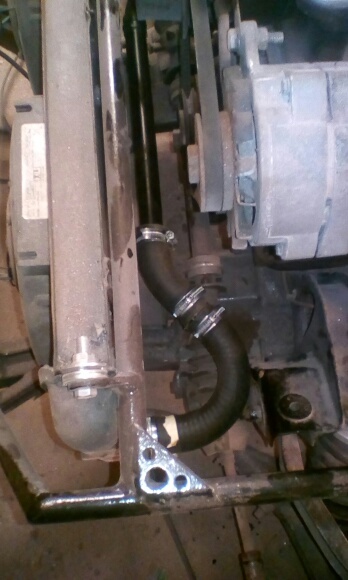 I wanted to make sure the expansion hose didn't flap around or get snagged on the inner wings and due to its height , cable tying the hose to my framework wasn't an option , so I joined two pieces of angle to make a channel that the hose runs along . 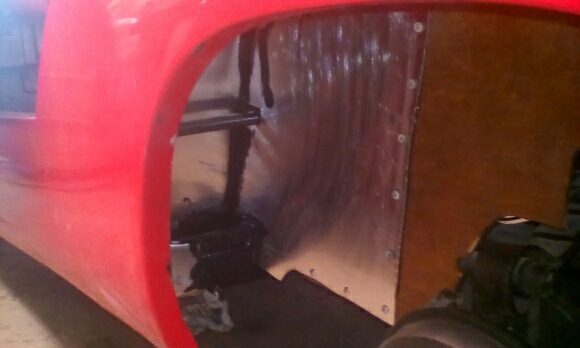 then mounted this on two legs that are welded to a third bit of angle that I bolted to the framework .. 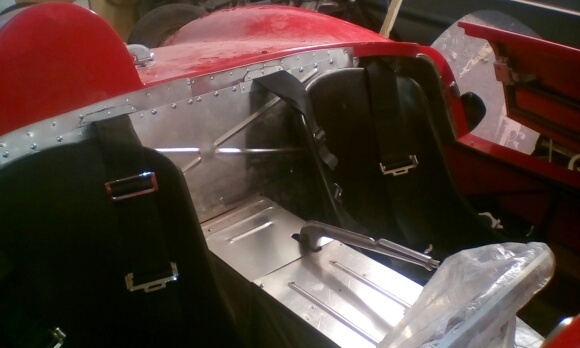 Bit more interior work over last few days ....A pair of fibreglass buckets from Tribute Automotive were fitted to slightly modified seat runners that came with the donor vehicle. 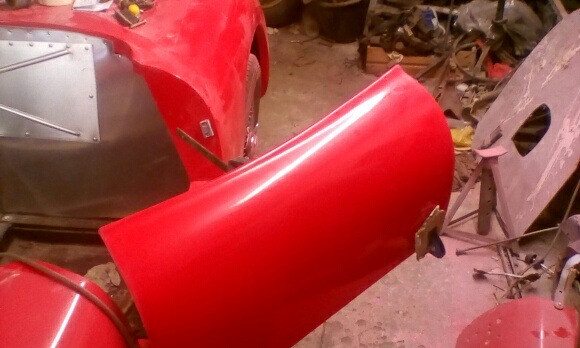 Ray's bonnet handles arrived this morning ...Same as D type. 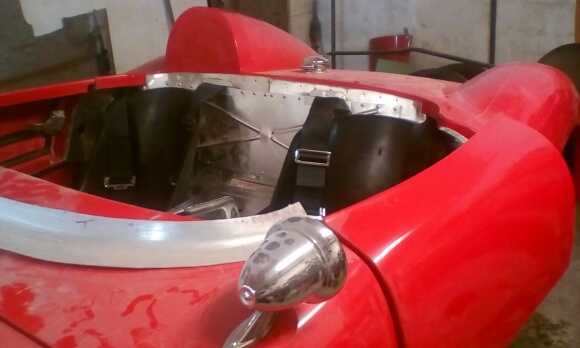 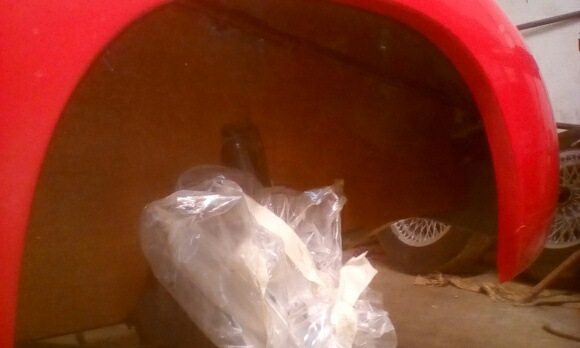 Combined with the quarter turn latches , which Triumph kindly supply one of with the donor vehicle as a boot latch ...they work really well..
Last edited by lancelot link; 28th June 2018 at 18:16..
All times are GMT +0. 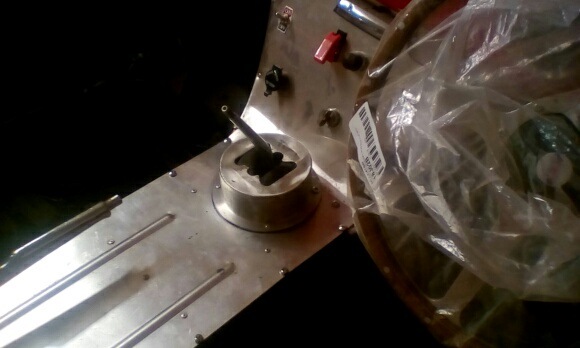 The time now is 18:37.